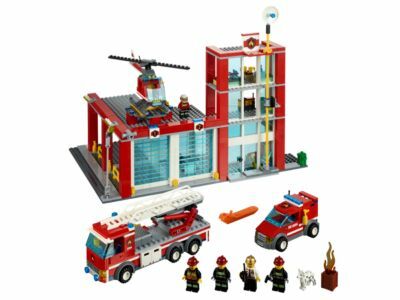 The Fire Station (60004) Lego set is no longer directly available from the sites below. However, 3rd party partners of these sites might still have the set available. Alternate description Prepare to save the day at the LEGO® City Fire Station! Repair the fire truck, van and helicopter at the LEGO® City Fire Station with firefighters, a fire chief, dog, equipment and more!